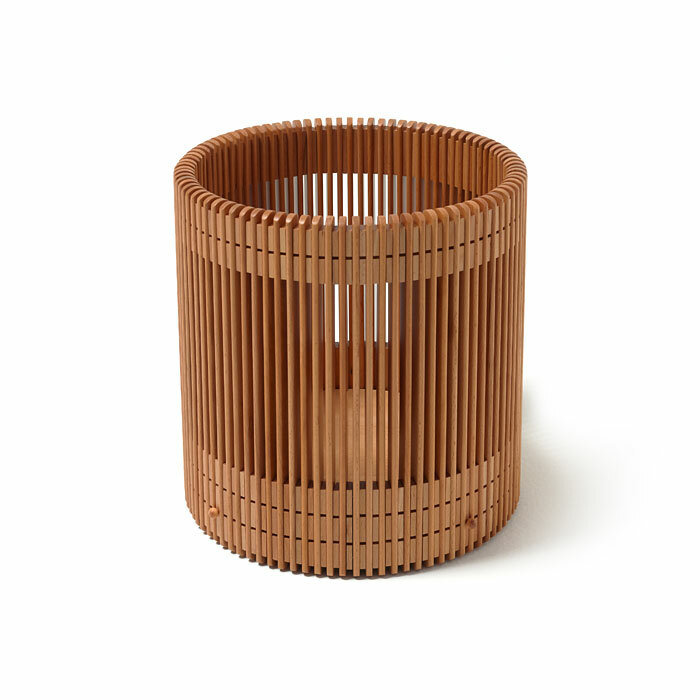 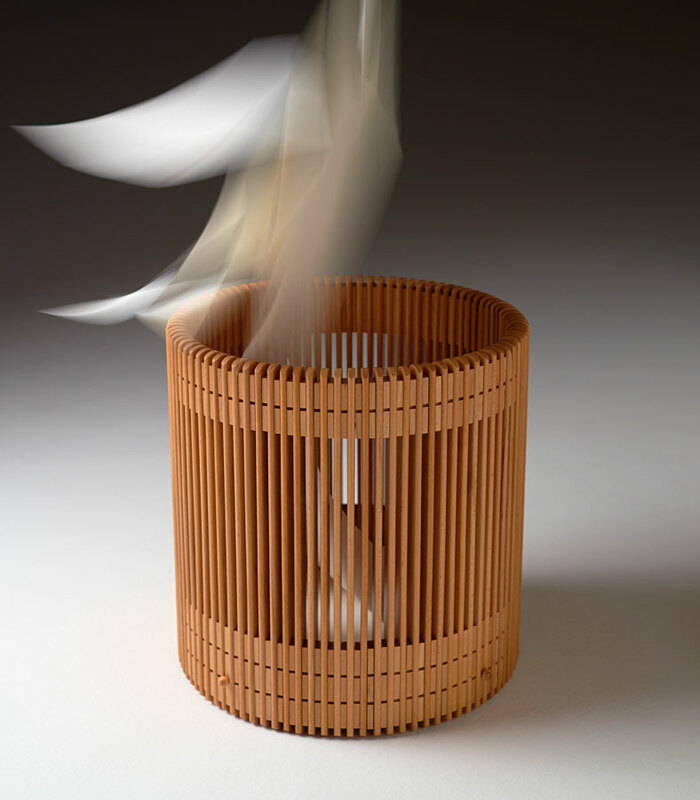 A wastepaper basket made of 89 beechwood baguettes connected by 178 spacers. 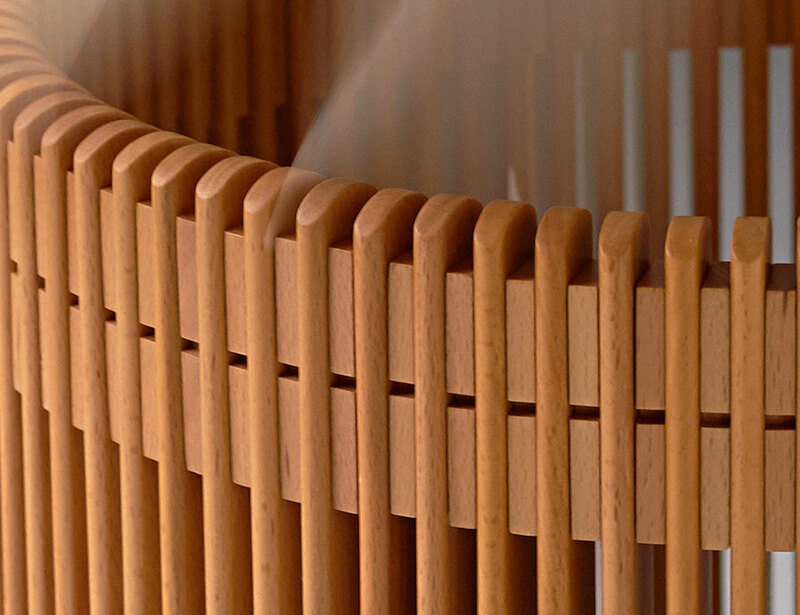 The vertical elements, individually polished to obtain a total flattening of any edges, are connected by four circles. 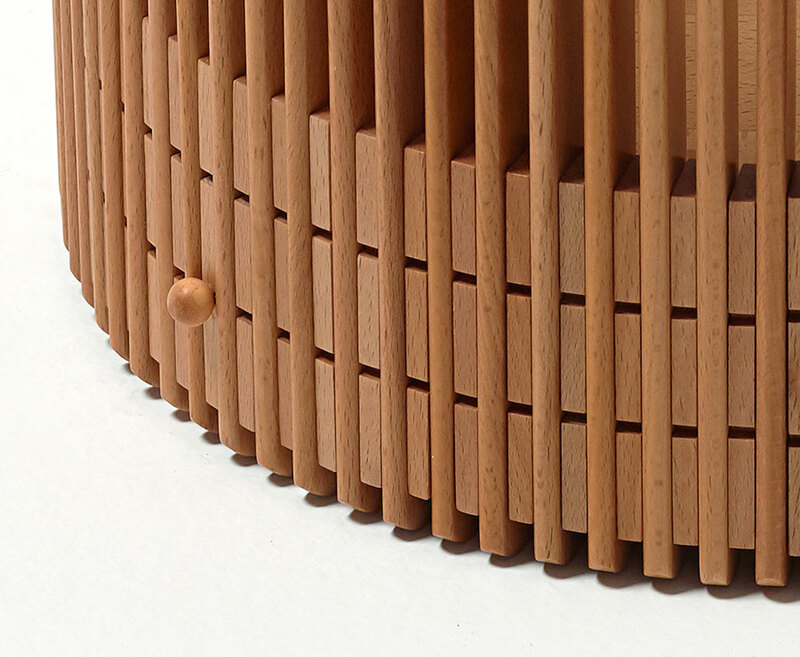 The bottom is fixed through brass pivots, whose endings are as many small wooden spheres.